I-GO Car Sharing and the Chicago Park District have partnered to bring car-sharing vehicles to Chicago parks around town. Check out this sweet video the Park District produced on the program. Thanks, CPD! I recently discovered a helpful new website- www.carfreechicago.com. Carfree Chicago is a community-built resource that aims to take the guess work out of carfree living while promoting responsible transportation choices. The site is structured as a community blog; it is written by carfree Chicagoans for other carfree Chicagoans. It’s a great site for the both the carfree and for drivers who drive out of necessity but prefer not to when possible. The site is a great resouce that covers such topics as alternative transit options (car sharing, bikes, Amtrak, Metra, Pace, etc…), carfree excursions, how to deal with going carfree with a family or when grocery shopping and many other relevant topics related to carfree living. Check it out and let us know what you think! 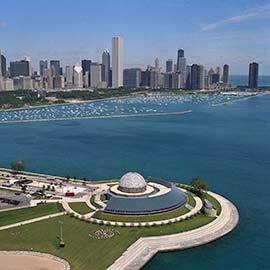 Adler Planetarium joins I-GO Car Sharing’s Chi-Town Rewards Program! Adler Planetarium is the most recent organization to join our great member benefit program Chi-Town Rewards! As an I-GO member, you can simply flash your I-GO smartcard and receive two-for-one admission to the Planetarium. Not a bad deal, eh? Own a bike and free on Saturday, May 9th? If so, you should join us for a bike ride along the lake! Climate Cylce, a non-profit working to reduce global warming, is kicking off its inaugural bike-a-thon along Chicago’s southern lakefront. The event will raise money to install solar panels on local public schools. Solar energy will help save both schools’ and taxpayers’ money by reducing schools’ energy costs and also reduing their greenhouse gas emissions, the primary cause of global warming. The event will feature two courses (a 12 mile and a 22 mile course) to choose from, both routes hug the lakefront and will be closed to vehicle traffic- not a bad way to spend a Saturday, huh? On top of the beautiful ride, there are some awesome prizes up for grabs- including free burritos for year from Chipotle! According to Cimate Cycle, most schools spend more money on energy costs than computers and textbooks combined! Installing solar panels on local schools will save money, reuduce emissions and introduce a new generation to alternative energy and the importance of sustainability. Click here to register today! All participants will recieve lunch, a t-shirt, goody bag and snacks. Hope we see you there! Seems our previous blog post on high-speed rail’s future prospects was a bit prescient. 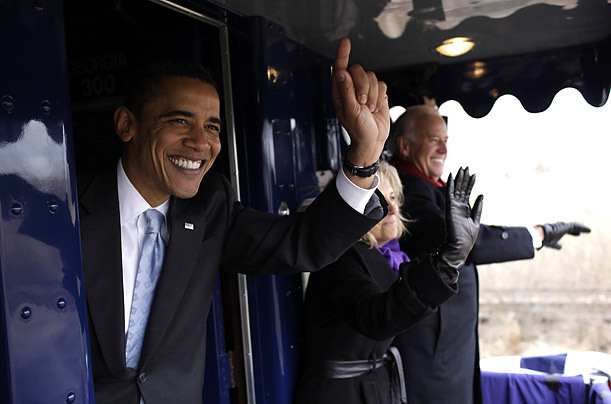 Check out this AP piece in the Chicago Tribune today on how Chicago, as a hub, stands to score more high-speed-rail funds thanks to early support from Obama and other Illinois pols in his cabinet (notably Transportation Secretary Ray LaHood). Looks like Nevada and California—which want a high-speed line connecting Las Vegas and Anaheim—might be the caboose in this scenario. Howard Learner, president of the Chicago-based Environmental Law and Policy Center, a group promoting a Midwest high-speed rail network, said his area is in excellent position to capture a good chunk of that money. 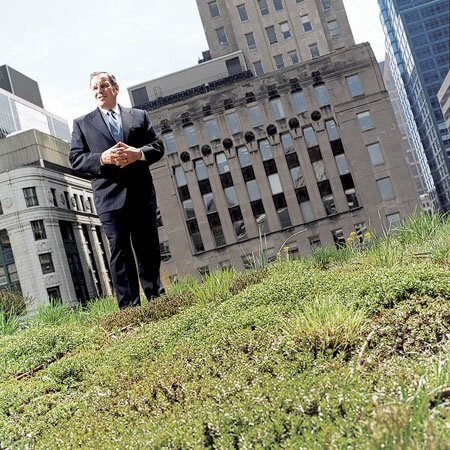 The Federal Railroad Administration, he said, has recognized the Midwest initiative connecting Chicago and 11 metropolitan areas within 400 miles as the system most ready to go. He and others brushed aside claims that the $8 billion was set aside for Reid’s favorite. Obama, who expressed strong interest in high-speed rail investment during the campaign, and his chief of staff Rahm Emanuel, are both from Chicago. Obama’s transportation secretary, Ray Lahood, also is from Illinois. So is the Senate’s no. 2 Democrat, Richard Durbin. 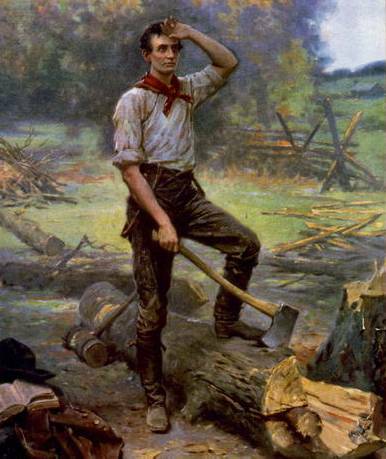 A WPA-type high-speed-rail project in the Land of Lincoln, the original rail splitter? Somehow apropos, isn’t it? Then again, we’re talking years and years of construction and development. Meantime, why don’t we all take a cue from the bike- and hike-friendly Rails to Trails Conservancy, and try to drive some funds their way as well? Those repurposed dilapidated tracks, like Chicago’s imminent Bloomingdale Trail, could be fixed up a whole lot quicker.